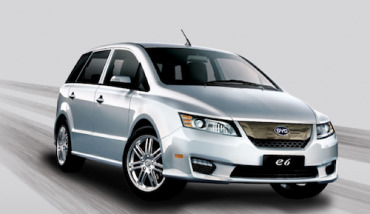 Is BYD Positioning Itself to Replace A123 in Lithium Starter Battery Market? This contribution is about “Build your Dreams” – BYD (BYDDF.PK), Warren Buffett’s most famous investment in China. It’s aimed at analyzing this company’s possibilities of success in the introduction of Li-ion starter batteries into the micro-hybrid car market. BYD, a Chinese electric car manufacturer backed by Warren Buffett, has decided to enter the energy storage market in Australia, saying there is large potential for the technology in Australian homes. You probably have something made by BYD in your home or pocket and don’t even know it. That’s because BYD, the Chinese company that is 10 percent owned by Berkshire Hathaway Inc., makes nearly all of its million batteries a day for other companies, including cellphone makers Nokia, Samsung and Motorola, said BYD spokesman Micheal Austin of Chicago. The University of Utah has placed an order for a 40-foot, all-electric transit bus with BYD Company Limited. The all-electric BYD GreenCity bus will be retrofitted with WAVE’s wireless charging pad under the bus, developed by the Utah State University Energy Dynamics Laboratory. 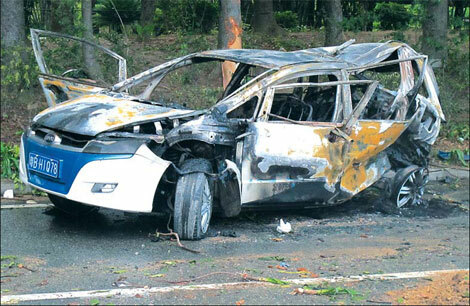 What Does an EV Fire in China Say About Safety? 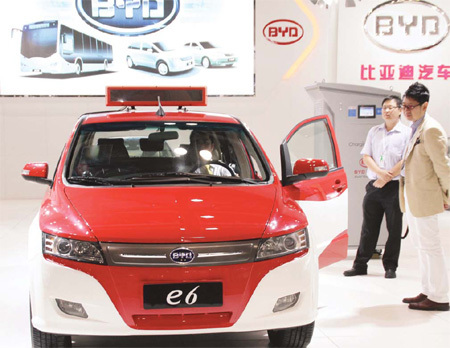 BYD has had a rough ride these last few weeks and the latest deadly e6 fire accident means the company needs to shore up its fresh image. BYD Co. (1211), the Chinese electric carmaker backed by billionaire investor Warren Buffett, said the fire that engulfed an e6 taxi after a crash last month wasn’t caused by flammable fluids leaking from the batteries. BEIJING (Reuters) – Flammable fluids leaking from a BYD electric car battery might have contributed to a fire following a high-speed fatal crash in China last month, a BYD executive told Reuters. However, Stella Li, senior vice president of Warren Buffett-backed Chinese battery and car producer BYD Co., defended the safety of electric cars the company designs and sells in China. USA: Can BYD Build Its American Dream in Los Angeles? To boost the range of pure electric vehicles (EVs), automakers need more onboard energy. To get more energy, they need bigger battery packs. Coda Automotive is supposed to start selling its electric sedan next month. On Friday, its parent company announced that it was also moving into a related line: stationary batteries for electricity storage. BUENOS AIRES (Dow Jones)–Chinese electric vehicle and battery maker Build Your Dreams, or BYD Auto Co., has signed an accord with local manufacturers to develop electric public-transportation vehicles and lithium batteries in the South American country, Argentina’s production ministry said in a statement Tuesday. Gasgoo.com (Shanghai October 31) – BYD has seen a major swing for the better performance in this past third quarter. According to a report in the China Securities Journal today, the manufacturer’s business returns grew 10.95 percent from last year, and its net profit grew an astounding 582 percent, totaling 77.37 million yuan ($12.23m). 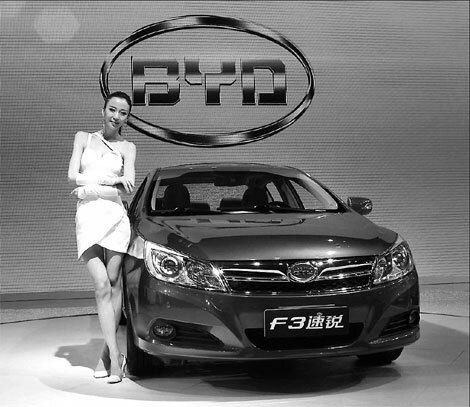 One of the stars of the Chinese automotive industry is Shenzen-based BYD, which although only sixth largest of the Chinese manufacturers, had the country’s top selling individual vehicle last year in the form of the BYD F3 (a Toyota Corolla E120 clone). 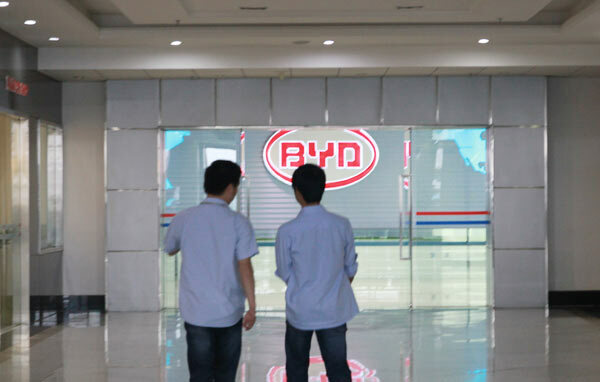 Established in 1995, BYD is a top high-tech enterprise in China specializing in IT, automobile, and new energy. Research and Markets (http://www.researchandmarkets.com/research/6e7110/global_and_china_l) has announced the addition of the “Global and China Lithium Iron Phosphate (LiFePO4) Materials and Battery Industry Report, 2010-2011” report to their offering.